The Missouri Bicycle Federation, Incorporated, (hereinafter referred to as the "Corporation") has been formed for the purposes set forth in its certificate of Incorporation. The purpose of the Corporation, as adopted by its Board of Directors, are: to improve conditions for bicyclists at the state and local level and promote bicycling as environmentally friendly, healthful and enjoyable. 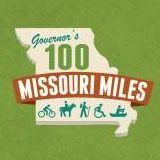 The mission of the Missouri Bicycle Federation is to provide an advocacy platform to protect the rights and interests of bicyclists and to make Missouri a better place to ride a bicycle through the advancement of bicycle access, safety, and education. The Corporation may achieve its mission through all methods not inconsistent with Missouri Not-for-Profit Corporation Law. The name of the Corporation, or the names of any of its officers and directors, shall not be used for any purpose not related to the policies of the Corporation, as determined by the Board of Directors. The Corporation shall be non-commercial, non-sectarian, and non-partisan. The Corporation shall have an unlimited number of members. Members are those who have paid dues to the organization as set out by the Board of Directors. Membership is open to individuals, businesses, clubs, organizations, and other entities as approved by the board of directors. The Board may review the dues structure as needed. The Corporation shall not discriminate on accepting members. Anyone may join the Federation. Clubs and organizations may join the Federation at member status or at affiliate status. Affiliated clubs and organizations are those that have followed the policies and procedures, as set by the Board of Directors and detailed in the MBF Affiliate Agreement, for becoming an affiliate. The Board may review the policies and procedures related to affiliate organizations as needed. Section 1. Powers and Number. The Board of Directors shall have the general power to control and manage the affairs and property of the Corporation in the accordance with the purposes and limitations set forth in the Certificate of Incorporation, and the policies set forth in Article 1. The number of Directors constituting the entire Board shall consist of no more than ten directors and no fewer than five directors. Each director shall be at least eighteen years of age. Section 2. Election and Term of office. The directors shall be elected to hold office for two-year terms; provided, however, that an alternate director elected to fill an unexpired term (whether resulting from the death, resignation or removal of a director or created by an increase in the number of directors) shall hold office until the next election of directors. Directors shall be elected at the annual meeting of the Board of Directors by a vote of a majority of the entire Board. Directors may be re-elected to any number of consecutive terms, but re-election shall only be upon a showing that each director has met the duties and responsibilities for directors in an exemplary manner. Section 3. Nominations. The Board of Directors shall consider potential nominees each year proposed by members of the Board, the Corporation's staff, and the members of the Corporation in good standing. The Board of Directors may elect or re-elect some, all, or none of the nominees at the annual meeting of the Board. Section 4. Alternate Board Members. At the annual meeting, the Board of Directors shall appoint a minimum of two and a maximum of five nominees to be alternate members of the board of directors. Alternate board members are subject to the same eligibility requirements as directors. Upon the death, resignation or removal of a director, the Board of Directors shall appoint an alternate director to fill the unexpired term until the expiration of that term. Section 5. Removal. Any director may be removed at any time for cause by a vote of two thirds of the entire Board at any regular meeting, or at any special meeting of the Board called for that purpose, provided that at least one week's notice of the proposed action shall have been given to the entire Board of Directors then in office. A director who misses three consecutive meetings shall be subject to review by the Board of Directors. Section 6. Resignation. Any director may resign from the Board at any time. Such resignation shall be made in writing or orally to the President, and shall take effect at the time specified therein, and if no time be specified, at the time of its receipt by the president. No resignation shall discharge any accrued obligation or duty of a director. Section 7. Vacancies and Newly Created Directorships. Any newly created directorships and any vacancies on the Board of Directors arising at any time and from any cause may be filled by an alternate director at any meeting of the Board of Directors by a vote of the majority of the directors then in office, regardless of their number, and the directors so elected shall serve until the next annual meeting. Section 8. Meetings. Meetings of the Board of Directors may be held at any place within the United States as the Board may from time to time fix, or as shall be specified in the notice or waivers of notice thereof. The annual meeting of the Board shall be held at a time and place fixed by the Board and for this meeting only, a director must be physically present to vote. Other regular meetings of the Board shall be held no less than two times during the year. The number of regular meetings for the upcoming year shall be determined by the Board each year at the annual meeting. Special meetings of the Board shall be held whenever called by the President or by a majority of the Board of Directors. Section 9. Notice of Meetings. Notice of the time and place of each regular, special or annual meeting of the Board, together with a written agenda stating all matters upon which action is proposed to be taken shall be sent by email, facsimile, or postal mail to each director at his or her residence or usual place of business or at such other address as he or she designates, at least seven days before the day on which the meeting is to be held; provided, however, that notice of special meetings to discuss matters requiring prompt action may be given personally or by telephone, no less than forty-eight hours before the time at which such meeting is to be held. Section 10. Definition of Meeting. Directors of the Corporation live and work across the breadth of the State. Physically gathering at the same location at the same time can be difficult. Thus, a meeting is defined as any tele-conference or physical gathering of directors, or combination thereof, of which proper notification (as defined above) has been provided, and in which the President and 50% of the entire Board participate. The exception, per above, is the annual meeting. Section 11. Quorum and Voting. Unless greater proportion is required by law, 50% of the entire Board shall constitute a quorum for the transaction of business or of any specified item of business, other than the removal of a director or employee of the Corporation. The Board shall attempt to resolve questions by consensus. Where a vote is required, only directors participating by telephone, tele-conference, or in person may vote. Section 12. Duties and Responsibilities for Directors. Directors shall be responsible for promoting the purposes of the Corporation set forth in Article 1. Directors shall assist in raising funds for the Corporation, and shall also be actively involved in fulfilling such duties and responsibilities as are determined from time to time by a majority vote of the Board o f Directors. 3. the amendment or repeal of any resolution or vote of the Board. Special committees may be appointed by the President with the consent of the Board and shall have only the powers specifically delegated to them by the Board. Members of the Corporation may be invited by the Chairperson of each Committee to serve on that Committee for one year. Section 14. Compensation. Directors shall not receive any salary or compensation for their services as directors, but the Board may, by resolution, authorize reimbursement of expenses incurred in the performance of their duties. Such authorization may prescribe procedures for approval and payment of such expenses. Section 1. Officers. The Officers of the Corporation shall be a President, Vice-President, Secretary, and Treasurer. Officers shall be members of the Board of Directors. One person may hold more than one office in the Corporation except that no one person may hold the offices of President and Secretary. No instrument required to be signed by more than one officer may be signed by one person in more than one capacity. The Board of Directors shall have the authority to elect such additional officers as it deems necessary. Section 2. Election, Term of office and Removal. At the annual meeting of the Board of Directors, the Nominating Committee shall submit to the Board of Directors names of potential officers for election or re-election. The officers of the Corporation shall be elected for one-year terms at the annual meeting of the Board of Directors. Officers may be re-elected to any number of consecutive terms. Each officer shall assume his or her office immediately after the election, and continue in office until his or her successor shall have been elected and qualified, or his or her death, resignation or removal. Section 3. Other Employees and Agents. The Board of Directors may from time to time appoint employees and agents it deems necessary. Each will serve at the pleasure of the Board of Directors and shall have such authority and perform such duties as the Board of Directors may determine, and shall be under written contract. Section 4. Registered Agent. A Registered Agent shall be appointed by the Board to serve as the receiver of any legal correspondence and to renew annual corporation status. Section 5. Removal. Any officer, employees or agent of the Corporation may be removed with cause by a vote of 2/3rds of the entire Board. Section 6. Vacancies. In case of any vacancy in any office, a successor to fill the unexpected portion of the term may be appointed by the President. Any officer so elected shall hold office until the next regular meeting scheduled for election of officers, and until his or her successor shall have been elected and qualified. In case a vacancy occurs in the office of the President, the Vice President, shall fill the office of the President until an election can be held at the next regular meeting of the Board of Directors. Section 7. President: Powers and Duties. The President shall give notice of, and preside at, all meetings of the Board of Directors. The President shall give general supervision over the affairs of the Corporation, and shall keep the Board of Directors fully informed about the activities of the Corporation. He or she shall have the power to sign and execute in the name of the Corporation all contracts authorized either generally or specifically by the board. The President may delegate this authority to other officers or the paid staff with the permission of the board. The President shall also have such other powers and perform such other duties as the Board of Directors may prescribe. Section 8. Vice President: Powers and Duties. The Vice President shall act as aide to the President and have such other powers and perform such other duties as the Board of Directors may from time to time prescribe. In the absence or inability of the President to act, a Vice President selected by vote of the Board shall perform the duties of the President. Section 9. Secretary: Powers and Duties. The Secretary shall keep the minutes of the annual meetings of the Board of Directors and perform such other duties as the Board may prescribe. Section 10. Treasurer: Powers and Duties. The Treasurer shall have general oversight with respect to, and shall approve, the annual budget. The Treasurer shall also retain an independent auditor to conduct audit report, if required by law or requested by the Board of Directors. The Treasurer shall also have oversight responsibility for all financial matters (as the Board of Directors may prescribe). (4) the expenses or disbursements of the Corporation, for both general and restricted purposes, during said fiscal period. The report shall be filed with the minutes of the annual meeting of the Board. Section 11. Delegation of Powers. To the full extent allowed by law, the Board of Directors may delegate to any employee or agent any powers possessed by the Board of Directors and may prescribe their respective title, terms of office, authorities and duties. The President may delegate to the staff the power to sign and execute alone in the name of the Corporation all contracts authorized generally or specifically by the Board, unless the Board shall specifically require an additional signature. Section 12. Compensation. The staff and other employees or agents of the Corporation may receive a reasonable salary or other reasonable compensation for services rendered to the Corporation when authorized by a majority vote of the Board of Directors. The officers shall receive no salary or compensation for their services, but the Board may, by resolution, authorize reimbursement of expenses incurred in the performance of their duties. Such authorization may prescribe procedures for approval and payment of such expenses. Contracts, Checks, Bank Accounts And Investments. Section 1. Checks, Notes and Contracts. The Board of Directors is authorized to select the Banks or depositories it deems proper for the funds of the Corporation. The Board of Directors shall determine who shall be authorized in the Corporation's behalf to sign checks, notes, drafts, acceptances, bills of exchange and other orders or obligations for the payment other documents and instruments. Section 2. Investments. The funds of the Corporation may be retained in whole or in part in cash or be invested and reinvested as the Board of Directors may deem desirable. Section 1. Office. The principle office of the Corporation shall be located in the state of Missouri. A complete record of the Corporation's financial and programmatic activities as described in Art. 6 Sec. 2. must be available to the public at an office of the Corporation or one of its member groups. Section 2. Books. There shall be kept at the principal office of the Corporation correct and complete books of account of the activities and transactions of the Corporation; a minute book, which shall contain a copy of the certificate of incorporation, a copy of these by-laws, and all minutes of meetings of the Board of Directors and any committee thereof; and a current list or record containing the names and addresses of all directors and officers of the Corporation. The fiscal year of the Corporation shall commence January 1st and end December 31st. The seal of the Corporation shall contain the words "Missouri Bicycle Federation, Inc." or similar expression, of a design approved by the Board of Directors. The Corporation may to the fullest extent now or hereafter permitted by and in accordance with the standards and procedures provided by Missouri Not-for-profit Corporation Law and any amendments thereto, indemnify any person made, or threatened to be made, a party to any action or proceeding by reason of the fact that he or she is or was a director, officer, employee or agent of the Corporation, against judgments, fines, penalties, amounts paid in settlement and reasonable expenses, including attorneys' fees. The Corporation is authorized to purchase and maintain insurance for the indemnification of itself and its directors, officers, employees, and agents. No member of the Corporation's Board of Directors, or any of its Committees, shall derive any personal profit or gain, directly or indirectly, by reason of his or her participation with the Corporation. Each individual shall disclose to the Corporation any personal interest which he or she may have in any matter pending before the Corporation and shall refrain from participation in any decision on such matter. Any member of the Corporation's Board, any Committee or Staff who is an officer, board member, a committee member or staff member of any entity doing business with the Corporation shall identify his or her affiliation with such agency or agencies; further, in connection with business decision or board action specifically directed to that agency, he/she shall not participate in the decision affecting that agency and the decision must be made and/or ratified by the full board. Any member of the Corporation's Board or any Committee, staff member or contractor shall refrain from obtaining any list Corporation members or contacts for personal or private solicitation purposes at any time during the term of their affiliation. These by-laws may be amended or repealed at any meeting of the Board of Directors by a vote of two-thirds of those eligible to vote. Adoption of this set of By-laws completely supersedes all prior By-laws and Amendments.